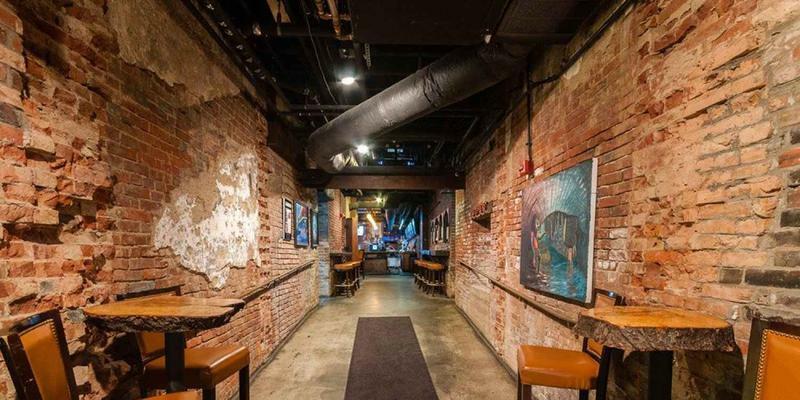 Of course, there's no shortage of amazing restaurants in the downtown area, but The Troll Pub Under The Bridge, located at 150 W. Washington St., is literally under the George Rogers Clark Memorial Bridge at 2nd Street, right next to the KFC Yum! Center. This 6,000-square-foot subterranean restaurant and pub is a unique underground dining experience you’ll not soon forget! You’ll be greeted by Louie the Troll as you enter and the dining room, which features cozy nooks, original brick walls and beamed wooden ceilings capturing the look and feel of the original building, which was erected in 1865. During this time, many Kentucky bourbon distilleries moved into other buildings on the block, using them for warehousing, distributing and as a headquarters, which is why the block became known as Whiskey Row. The vision for the space you will see today was developed in 2010, when the rooms were transformed into cozy nooks, keeping the original brick walls and beamed wooden ceilings. The lunch, dinner and drink menus are full of your favorite pub grub enhanced with a long list of local beers. The Troll Pub is open for lunch, dinner and late night dining, making it the perfect stop before or after your favorite event seven days a week! If you're looking for cold local beers, delicious libations, or the best pub-grub in the ’Ville with a historic and unique ambiance, find Louie the Troll! He is proudly standing at the corner of 2nd and Washington streets, pointing you in the right direction. 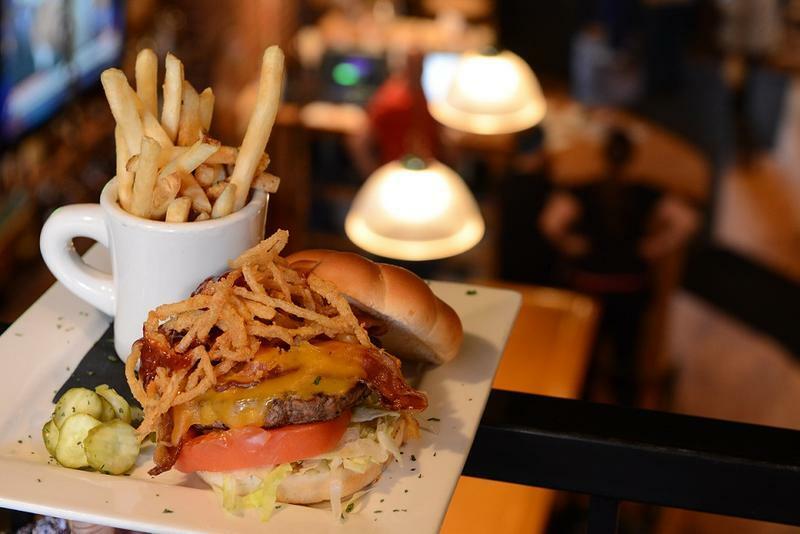 Stop by for lunch, The Troll Pub happy hour, dinner or plan a night out on the town! Click Here to Visit The Troll Pub Under the Bridge Online! 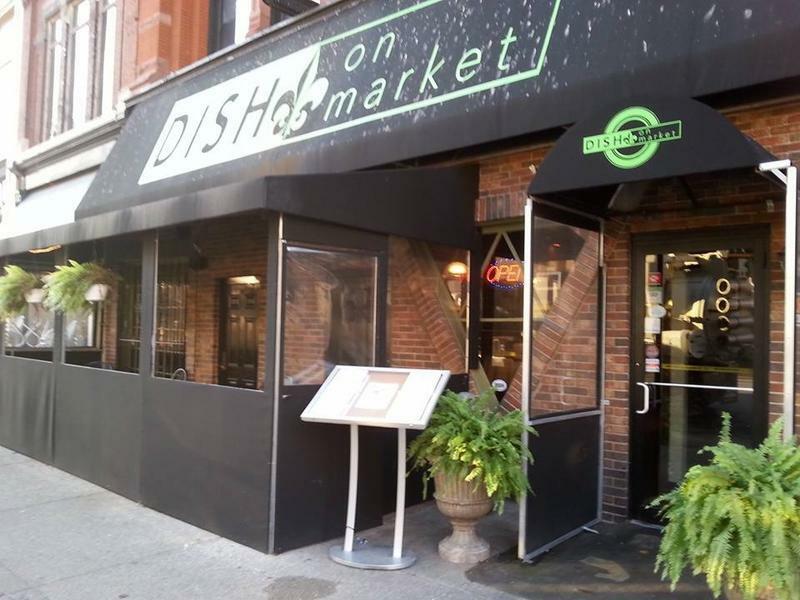 Dish On Market is another excellent choice for downtown dining prior to or after your event. Many local magazines have chosen Dish On Market as the best destination for Bourbon, Breakfast, Brunch and Burgers over the past several years. The Dish On Market menu features local twists of your comfort food favorite dishes, many of them made with locally-sourced ingredients. The staff here is one of the friendliest in town and will always go the extra mile to ensure your visit is a pleasant as possible. The owners are also nearly always on hand to guarantee consistent service. The happy hour at Dish On Market is one of the most popular in all of downtown, happening Monday through Friday from 4-6 pm. Dish On Market features one of the best and most thorough Bourbon selections in Louisville! For added convenience, Dish On Market delivers to most downtown hotels! Just hop online and let them know what you need! Click Here to Visit Dish on Market Online!